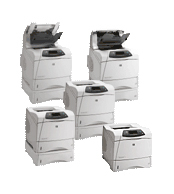 Here is a list of some of our services we offer printer repair, printer service, printer repairs, plotter repair, printer maintenance, HP Fax machine repair, HPLaser Jet printer service and trained in Laser Printer Repair by Hewlett Packard technicians to include Design Jet printer , LaserJet Printer Series, and Lexmark Optra Series. At Bethel, OR Premier Printer Services Printer Repair our technicians can help you with your…Hewlett Packard printer repair, Optra repair, Phaser repair, laserjet repair, & hp repair and non warranty service on Laser Printers, Fax Machine Repair, Phaser repair, Optra Printer repair, plotter repair & plotter service, HP Design Jet Repair, and Computer printer repairs installations,break down for printer moves , and designjet printer and laserjet maintenance and printer contracts. Respond now for your printer repair maintenance or HP Plotter repair Design Jet plotter service appointment online via our service request form or call www.premierprinterservices.com toll free at 1-800-836-9287, go to our online service request page or call us toll-free at 1.800.836.9287 and start the process today! Fast HP Design Jet Plotter repair and onsite Plotter Maintenance Service We Specialize in same day onsite HP Design Jet plotter repair on 4000/4500, 5000/5500,1050/1055 as well as HP plotter service on 430/450/455, 750/755CM and 500/800 in entire USA! Service Company with over 20 years of experience on HP plotter repair. Our professional HP Plotter service team specializes on HP Design Jet 4000/4500, 1050c/1055cm and 5000/5500 model plotters. We also repair older HP Design Jet (DJ) 430/450, 730/750/755, 500PS/500/510 and 800/800PS Plotter repair and maintenance service. We stock of HP Design-Jet Plotter carriages Belt Kits, trailing cable, ink tubing systems, carriage assembly and print heads are the most common replacement parts to provide you fast onsite plotter service. Our HP Plotter service team specializes on HP Plotter repair service on black & white as well as Color Plotter repairs. 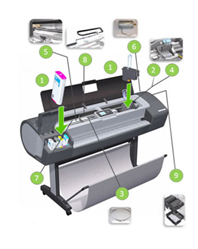 We provide Multi-point cleaning on every HP Design Jet plotter repair service. We also stock genuine replacement belt kits for HP Design Jet 500/800 (24") and (48") plotters! Onsite HP Design-Jet Plotter Belt Kits always in Stock for HP Plotter Repair Nationwide! We keep your HP Design Jet Plotter printing trouble free with regular service, or if you are having hardware failures and communication errors due to network setting or plotter driver problem we can come to you and fix it at your site. Our technicians are experts at repairing all (POST FAILURE) power on self test errors with your plotter failing at startup with a bad hard disks, network cards and broken belts. Our HP Certified Plotter technicians carry carriage belts for HP Design Jet 500 Repair 24-inch C7769B, C7769BR. DJ 500PS plotter repair C7769C, C7769CR, C7770C, C7770CR and HP Design-Jet 500 42-inch plotter model C7770B and C7770BR. We stock carriage belts for HP Design Jet 800 plotter 42-inch models C7780B, C7780BR, C7780C and C7780CR. We service HP Design Jet 800PS repair on 24 inch plotter model # C7779C, C7779CR, C7779B and C7779BRThese are some of our satisfied clients that have utilized our service department for their printer service repair needs. These are some of our satisfied clients that have utilized our service department for their printer service repair needs. Same-day onsite Design Jet color and black & white plotter service includes inspecting, cleaning, lubricating and print head calibration! Lubricate the Plotter Carriage Rails. Encoder Strip Cleaning and inspection. Inspect and Clean Platen Assembly. Clean the entire HP plotter. Calibrate the plotter print head after replacing the belt. Calibrate the Color after the plotter maintenance service. HP Ploter Repair - Same-day Design Jet Plotter Service at your site! HP plotter with print quality problems we stock Design Jet Carriage Assembly for fast on-site HP DJ Plotter repair/service! HP Certified design jet plotter repair and service staff trained to diagnose and resolve plotter failures and malfunctions quickly. HP training allows us to provide excellent HP design-jet plotter repairs and maintenance service. HP printr repair www.PremierPrinterServices.com hp plotter repair designjet repair Certified plotter support staffs are quick, efficient and highly trained to diagnose and resolve HP plotter jamming, plotter error messages and plotter failures. HP Plotter onsite service team specializes in repair Maintenance Cleaning on HP Design-Jet plotters! System error codes consist of four digits that explain which component or system is failing and what action should be taken to correct the problem. The information below provides an explanation of the error and the recommended action to be taken. Locally to you, State wide or Nationwide we can support all of your HP Laser Jet Or Design Jet www.PremierPrinterServices.com plotter service needs or Lexmark repairs, also repair your printer paper jamming , ghosting images, or poor print outs or images, plotter hesitation problems, perform plotter design jet maintenance and reset your machine, and remove all HP Design Jet Or Laser Jet Or Lexmark Optra error messages. Get Your Local Support Today! 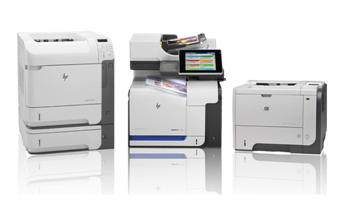 HP Color Laser Jet MFP Repair and HP LaserJet MultiFunction Printer Repairs locally On Site At your location. Laser Repair 911 repair HP Design Jet 4000/4500PS, 430/450, 500/800, HP 700/750/755, 1050C/1055CM, HP DJ 500/5500 Plotter repair service. Laser Printer Services specialize on HP Design Jet 4000, 4500 plotter repair, HP design jet 430, 450C plotter service, Design Jet 500 plus, 800 repairs, HP Design Jet 500 Plus service, HP design jet 800PS repair, HP DJ 750C plotter repairing, HP DJ 800 service, Design jet 1050 plotter repair, HP plotter 1050C repairs, HP Design Jet 5000 and 5500 plotter repair. Every Hewlett Packard Design Jet plotter repair includes inspection of HP design jet plotter belt kit, lubrication and cleaning service.